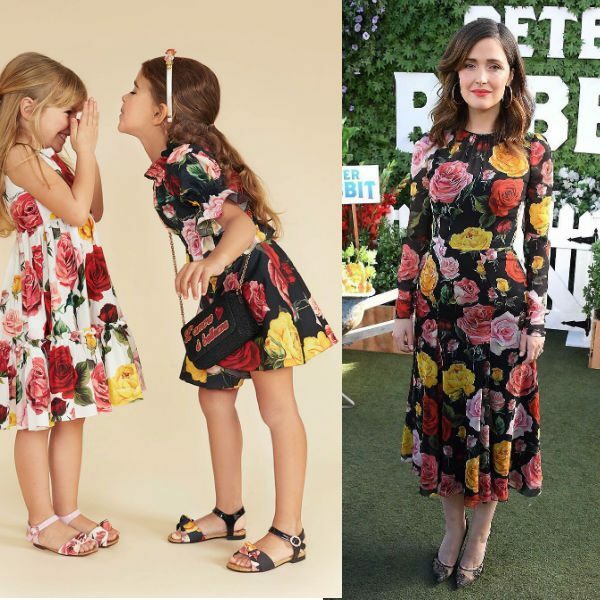 Actress Rose Byrne was spotted wearing this gorgeous floral Dolce & Gabbana dress to promote the Peter Rabbit Movie at the London Hotel in Los Angeles on Friday, Feb. 2, 2018. As part of the “All the Lover's Collection,” this luxurious black and rose print dress is also available in a Mini Me Look for Spring Summer 2018. 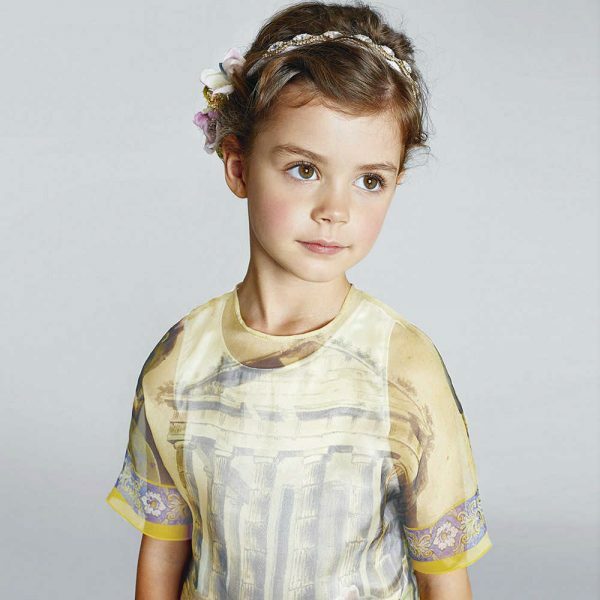 Your little fashionista will love this matching mommy & me DOLCE & GABBANA Girls Black Roses Blouse & Skirt. Perfect for any special occasion this Spring / Summer Season. Photo credit: Associated Press.